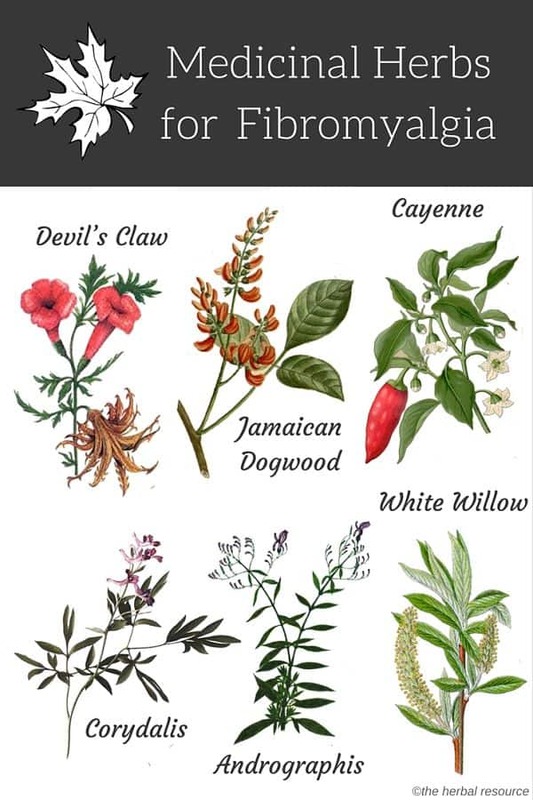 Medicinal herbs for fibromyalgia treatment and relief can play an important role for many people that are very sensitive to pain and inflammation and many of these herbs’ uses can be adjusted to meet specific symptoms which often vary with fibromyalgia. Eighty percent of people diagnosed with fibromyalgia are women, with the age of diagnosis being thirty-five to fifty-five years of age. This debilitating syndrome is often hard to diagnose, as fibromyalgia will mimic the symptoms of other conditions such as low thyroid function, rheumatoid arthritis, lupus, Lyme disease and a wide range of illnesses associated with generalized muscular and joint pain. Natural herbs for fibromyalgia treatment are best combined with physical therapy that has proven to be beneficial. Massage, physiotherapy, acupuncture, chiropractic/osteopathy, and nutrition all help to manage the debilitating symptoms associated with fibromyalgia. Many commonly available medicinal herbs for fibromyalgia treatment, along with exercise, nutrition and relaxation can form a powerful broad spectrum approach and play an essential part in combating this chronic illness. It is vital to have a full health assessment to confirm a diagnosis of fibromyalgia before using any herbal remedies. This herb is a well-known traditional treatment for arthritic pain and lately, it has attracted notice for its role in relieving muscle pain. In a trial designed to test this herbs ability to take care of muscular pain, low doses of devil’s claw showed improvement in pain over a four-week period. Devil’s claw has no significant side effects, however, for those using warfarin, it is advised to consult a professional medical practitioner before taking this herb. In some cases, there have been reports of gastric upsets associated with high doses of devil’s claw and like many medicinal herbs it is not recommended in pregnant or breastfeeding women. White willow is probably one the herbs for fibromyalgia that people are most acquainted with. This herb works by reducing inflammation in the body. Salicin, the active principle in this plant, lowers fever and reduces inflammation, and in turn, eases the pain. This herb works by lowering prostaglandins in the body that cause inflammation. Willow bark is not recommended for people using anticoagulant therapy and may cause gastric upsets in high doses. White willow bark should not be used by people allergic to Aspirin. Externally, the resinous compound found in cayenne, capsaicin, has shown to reduce pain associated with fibromyalgia. It works by exhausting the neurotransmitters that transmit pain signals to the brain. A word of caution though, this is applied as a cream and will initially make pain symptoms worse before they improve and rubber gloves should be used to apply the cream to the affected area; pain relief can be sustained with ongoing use. Like chili, cayenne creams will burn when they make contact with mucous membranes so these ointments should be applied with great care. This herb is particularly indicated for strong pain such as neuralgias, sciatica, dysmenorrhoea (painful periods), muscular pain and spasms. The dried root (2 to 4 grams) can be taken three times daily or fluid extract of 1-2 ml three times daily. Corydalis is a medicinal herb widely used in Chinese herbal medicine. 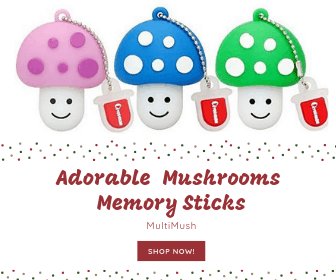 It is mostly used to treat pain and usually in combination with other herbs. Recently corydalis has piqued an interest as a potential treatment for fibromyalgia due to the substance dehydrocorybulbine (DHCB) present in the herb’s root. DHCB is an alkaloid believed to have non-opioid pain reveling properties. The herb contains other alkaloids as well such as corydaline, protopine, corybulbine, β-homochelidonine and several others. Corydalis is available commercially as a whole herb or in granule, tincture and capsule form. Other medicinal herbs for fibromyalgia relief. Balck, James F. and Mark Stengler: Prescription for Natural Cures. Johnson Wiley & Sons, Inc. New Jersey. 2004. Skelly, Mari et al. : Alternative Treatments for Fibromyalgia and Chronic Fatigue Syndrome: Insights from Practitioners and Patients. Alameda, CA: Hunter House. 1999. PubMed.gov – Complementary and alternative therapies for fibromyalgia.